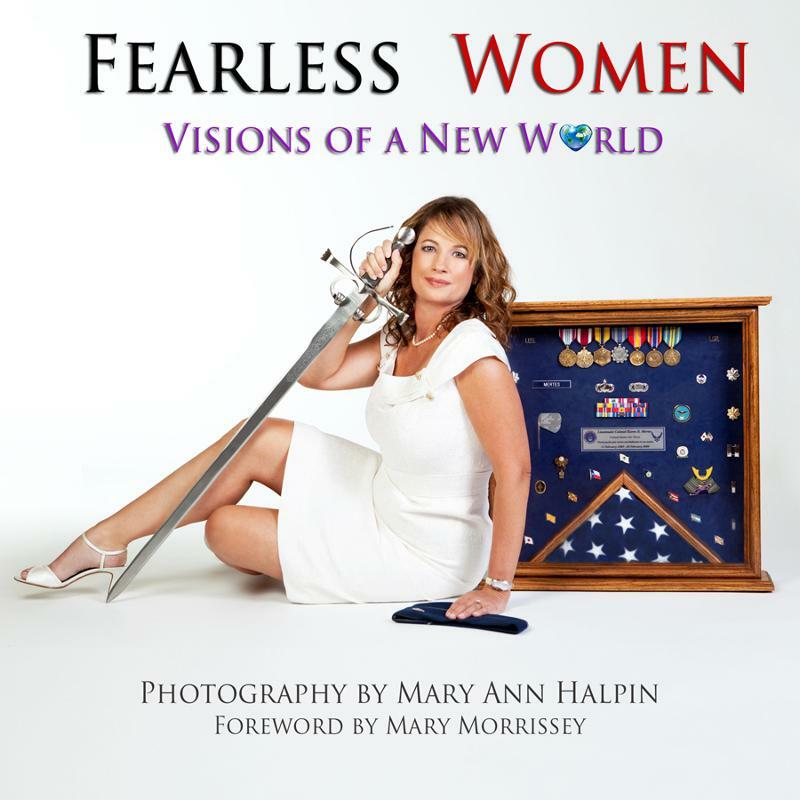 In her new book, Fearless Women, Visions of a New World, photographer Mary Ann Halpin has created a platform for 50 visionary women change-makers that are taking action to make the world a better place. Fearless Women, Visions of a New World is a splash of color on a huge open canvas of need and creates an opportunity for you the viewer to be inspired and move to contribution. Fearless Women, Visions of a New World will inspire and infuse a spark, to ignite a passion in each of us. Together we can make a huge impact on this world. Fearless Women, Visions of a New World is the third in the series of the Fearless Women® books. This 10×10 inch fine art coffee table book features portraits of woman holding a sword and / or a symbol of what they are doing to change the world and an essay telling their extraordinary story. Many of the visionary women featured are leaders in the human potential movement; inspirational teacher, Mary Morrissey; Marcia Wieder founder of the Million Dreams Campaign; Mona Polacca, one of the 13 Indigenous Grandmothers; Brandy Amstel founder of Living Powerfully along with celebrity/activists Linda Gray and Frances Fisher. Women change-makers such as Rebecca Grossman, founder of the Grossman Burn Foundation; Dr. Doreen Granpeesheh, foremost authority on autism, and Tabitha Kyambadde, founder of African Mission Outreach Organization are inspirations for us all.